Choosing a credit card when you have bad credit should be driven by a single, overarching factor: you need to rebuild your credit. So, the card you select should, above all else, help you reach that goal. Of course, if you can also get some benefits or perks, like cash-back rewards, along the way, well that’s just gravy. But money-saving features, such as a decent APR and low or no fees, should also be near the top of the “wants” list. While it can be hard to find a credit card for bad credit that offers more than the basics, the Credit One Bank® Platinum Visa® meets many of the criteria for a well-rounded credit-builder card. For most prospective cardholders, the Credit One Bank® Platinum Visa® might be appealing because of its acceptance of even those with very bad credit. But that acceptance isn’t likely to be cheap. On the positive side, this card does offer qualified applicants 1% cash back on eligible purchases, a minimum $300 credit line to start, and frequent reviews of your account for credit line increases. If you use your card responsibly and pay your bills before the due date, you can expect your credit line to reflect that over time. Something to be aware of is that the initial annual fee for your Credit One Bank® Platinum Visa® is deducted from your credit line right off the bat. For example, your available credit when you open your account will be $225 if you’ve been approved for the minimum $300 credit line with a $75 annual fee. Additionally, note that the annual fee structure changes after the first year. Instead of being billed once a year, the annual fee of will be spread out in 12 monthly payments billed to your card. Although there’s no set minimum credit score, requirements for this card include a verifiable income. This income can come from a variety of sources, including regular employment, self-employment income, part-time work, and even public assistance. The Credit One application process starts with a pre-qualification check that uses a soft credit inquiry to help determine if you’ll be approved. If you’re worried about qualifying for a Credit One credit card, rest assured; you’ll get to see if you’re pre-qualified before filling out an official application. While not a guarantee of acceptance, pre-qualification can be a good indicator. Beyond its easy online application, Credit One has made all of its online and mobile interfaces easy to use. You can make payments and check recent purchases online or by using the mobile app. And to keep your account safe, alerts can be customized and sent to you via text or email. Another feature that should be considered useful to anyone looking to rebuild their credit is the free monthly Experian credit score. 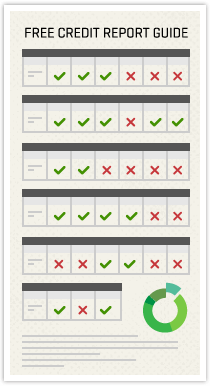 There’s also an online credit report summary you can access that allows you to monitor and track your credit score progress. Reviews for the Credit One Bank® Platinum Visa® are decidedly mixed, with some reviewers completely satisfied while others are less so. Reasons for this can likely be attributed to expectations, with the more satisfied reviews coming from those who understand what this card is intended for. If you’re expecting a full-featured card with competitive rates and a superior reward plan, then this may not be the card for you. On the other hand, if you want a card that will help you to rebuild your credit, there are some clear advantages to the Credit One Bank® Platinum Visa®. Of course, consumer experiences vary widely, based on factors that are as individual as we are. 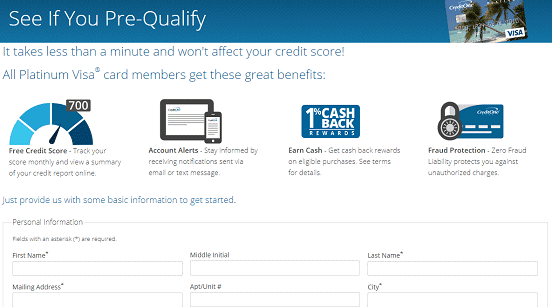 Credit One offers no guarantees of credit score improvements or even of credit line increases. While there are many people who have seen both their credit scores and limits increase, there are others who have a different experience. While there are far more positive than negative cardholder reviews, many of the complaints are related to a lack of customer service responsiveness, as well as the difficulty in having payments post promptly. These complaints were posted frequently enough to warrant consideration when making a decision on this card — and on Credit One in general. Some cards are better than others for helping to rebuild your credit without draining your wallet. There are competing credit cards out there that may offer lower annual fees, better rewards, or even lower interest rates. If you’re looking for a card that will boost your credit score and provide plenty of other benefits, here are some alternatives to the Credit One Bank® Platinum Visa® that we can recommend. Credit cards aimed squarely at people looking to rebuild their credit are generally not the best bargains out there. The high annual fee, high APR, and relatively meager rewards you get with the Credit One Bank® Platinum Visa® might lead to an increase in your score, or it might not. If you do choose to go with this card, one way to give yourself the best chance at an improved credit rating is to make sure you use it wisely. That means paying on time each month, not exceeding your credit limit, and keeping a close eye on your score with Credit One’s free credit tracker. Perhaps the best course of action is to use this card for the first year to rebuild your credit, then transition to a card with lower fees and a better APR once your credit score has improved. If you’re able to manage it responsibly, the Credit One card can be a good choice for an unsecured credit-builder with rewards.